Welcome to QRC, Where the Quality of Service Matters. We provide a consistent approach towards quality with each service request in Winston-Salem. 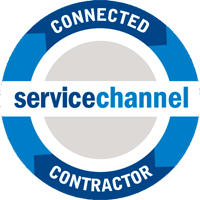 When you are making the decision about who to call for residential or commercial heating and cooling services, there is one name that will stand out above the rest: QRC. Our happy customers will tell you that we offer something different than the standard HVAC and refrigeration services you might find with other companies because we are committed to providing timely solutions, attention to detail, and a service-minded approach to every job we do. Whether you require the design and installation of new commercial refrigeration units at your business or you are experiencing HVAC problems at your home in Winston-Salem, North Carolina, our experienced technicians are close by to offer the solutions you need. When you make us your HVAC and refrigeration contractors of choice, you’ll quickly see that we take the time to have all of our technicians earn their EPA certification, and they also complete ongoing training to ensure they can provide the highest-quality service. 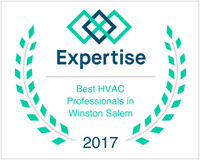 It’s important to us that we are knowledgeable and equipped to handle any type of HVAC or refrigeration job, no matter how big or small it may be. We are licensed, bonded, and insured. We always put our customers first, and we want to be the first name you think of when you require residential or commercial appliance service in Winston-Salem. Our entire staff is dedicated to making our customer’s satisfaction our number one priority. We do so by providing reputable and professional commercial HVAC and commercial refrigeration services. This is the foundation of our excellence and commitment to you. If you have questions about our services or you are experiencing an HVAC or refrigeration emergency, contact us at QRC today for 24-hour services that will get your home or business back on track. We look forward to meeting all of your heating and cooling needs.